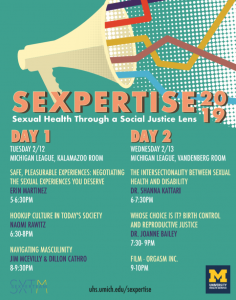 Sexpertise is a two-day series of workshops on February 12th and 13th, 2019, planned by and for students. 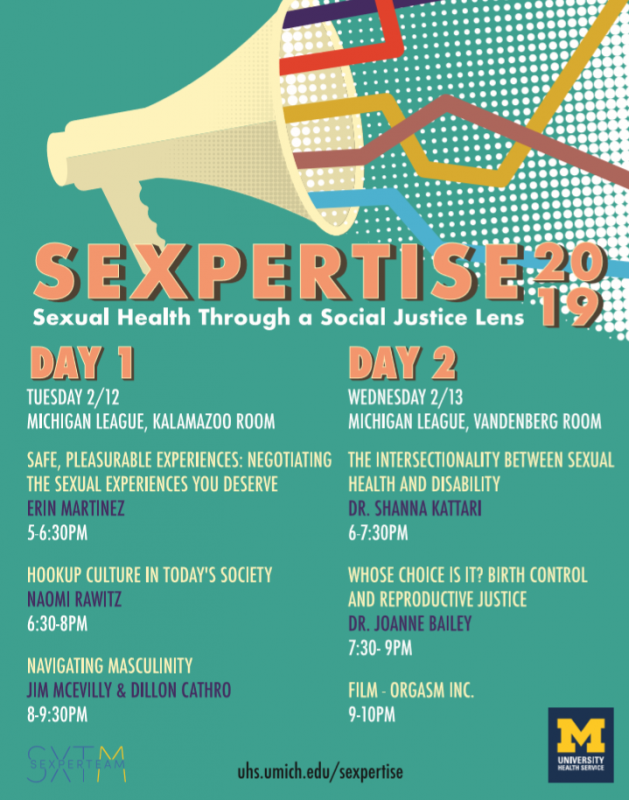 It engages students, faculty, and community practitioners in discussion and learning about sexuality and relationships through a social justice lens. We'll explore topics of interest to U-M students including empowerment, identities, wellness, relationships, and more! All events are free and open to the public. Registration is encouraged but not required, and you are invited to attend one, a few, or all sessions!